JB MASTERPIECE OF FUNKY SOUL ON POLYDOR GATEFOLD 2xLP Classic James LP !!!! One of the best examples of James Brown's genius! Recorded during the same sessions as the JB album "Damn Right I Am Somebody","Payback" has the group backing James with amazing intensity, playing on and on for very long stretches, improvising jams that perfectly match the vocals, which are often as improvised as the music. 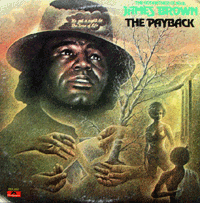 The most famous example of this style at work is "The Payback", which begins with a simple head arrangement, then has James riffing off on politics and power, letting the band come in at just the right moment. GREAT !!!! probably my fave JB record. 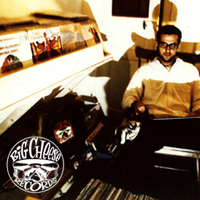 these are his heaviest grooves, recorded after checking fela's band in nigeria. "stone to the bone" is quite the jam.